Margaret Hilda Thatcher. She will always be Margaret Hilda Thatcher to me. You see, for well over a hundred years now, when the English have entered Polling Booths to vote in a General Election, they have in the main been faced with 3 candidates – Conservative, Labour and Liberal (or hyphenated Liberal or hyphenated Labour or – for a blink in history – Social Democrat). That was my experience when I voted in my first election that swept Mrs Thatcher to power. By the time the second election came around all hell had broken loose. My ballot paper contained 17 names – including the legendary Screaming Lord Sutch of the Monster Raving Loony Party and TWO Margaret Thatchers. Living in the Iron Lady’s constituency of Finchley, the Local Conservative Party popped a flyer in my letter-box reminding me to vote for Margaret Hilda Thatcher. And if Finchlonians like me had not taken notice of the Hilda, the modern history of the world might have turned out very different. I say “Finchlonians like me” because I did not actually vote for her (or the other Thatcher for that matter – and I cannot for the life of me remember who I did vote for but he was definitely a member of the Liberal Party). I had studied at the hotbed of British Monetarism in the early Thatcher years – the head of our department went on to become the Head of the Policy Unit at No 10 – and I could never (and still cannot) quite swallow the idea that if you just controlled M3 (the broad money supply in those days) you were guaranteed a stable economy. Then there was the heavy-handed way in which the economy was overhauled, the results of which were clear to me long before Billy Elliott became a ballet dancer. It was very sad that some actually rejoiced at her death (apart from the “parties” there were some very negative comments by union leaders and ex-miners). 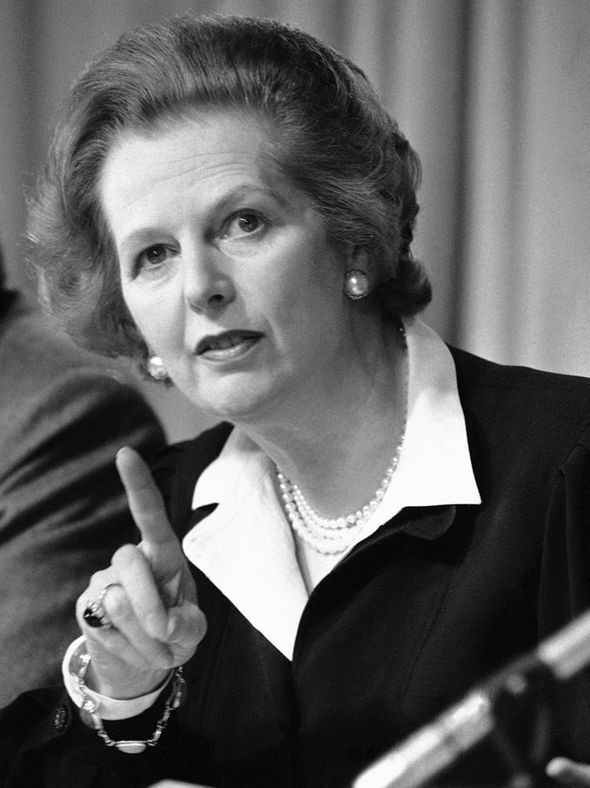 She was not a dictator – she was democratically elected three times, she did not practice Tyranny of the Majority against the North of England which had been in decline relative to the South for years, and she did not (to the best of my knowledge) order the elimination of swathes of the population opposed to her policies. Rejoicing at a person’s death should be reserved for true despots like Hitler, Stalin and one of my neighbours. Mrs Thatcher’s crime was telling the Nation: “There is no such thing as public money. There is only taxpayers’ money”. She may (or may not) have got aspects of her policies wrong but, as Kinnock said, she was not “malicious”. In fact ,she is known to have shown great compassion to political friends and foes alike when they had personal problems. I remember talking to an elderly former quango chairman who had recently been widowed, during a Department Christmas Party at University. In the course of the conversation I asked him what he was doing for Christmas, it being the first without his wife. He replied that Mrs Thatcher had invited him to Chequers; (when I met him after the hols and asked him how it went he produced a wad of Downing Street notepaper that he had “lifted” surreptiously). However, it was an African who, in remembering her this morning, got it absolutely right and reminded us at the same time of the true meaning of democratic government (even though, ironically, he led a one party State). Zambia’s first president, Kenneth Kaunda, who clashed bitterly with Britain over its ambivalence to apartheid, told the BBC how he had broken the ice with Thatcher. On a visit to Zambia he arranged a dance and invited her to take the floor with him. “We wanted to show her that we did not hate her. We hated her policies”. That could be a good lesson today for the boys in Washington and several other western capitals.